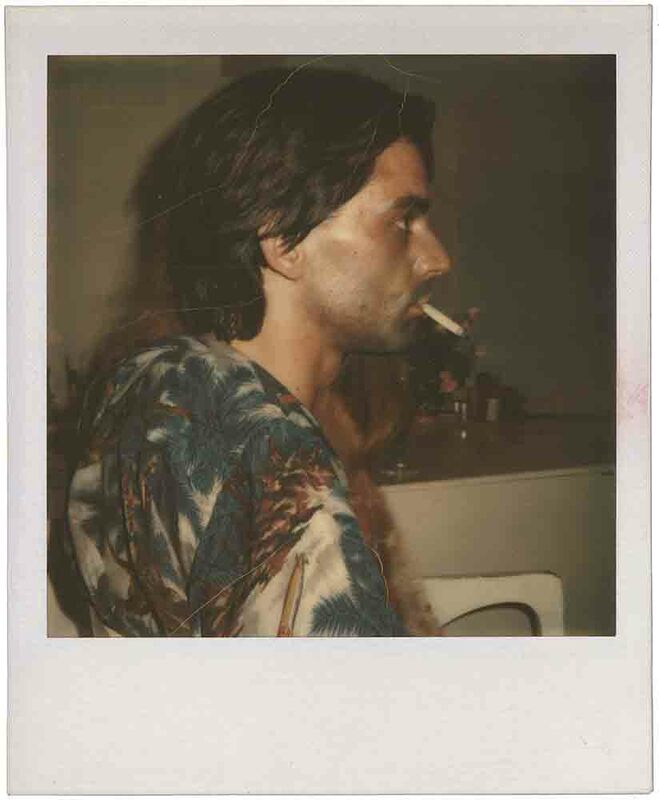 Ulay is the pseudonym of Frank Uwe Laysiepen. He was born in 1943 in Solingen, Germany. 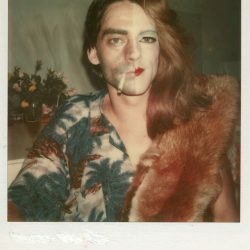 Ulay was formally trained as a photographer, and between 1968 and 1971, he worked extensively as a consultant for Polaroid. 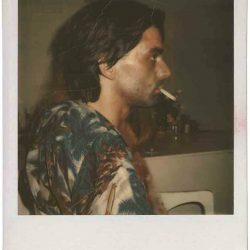 In the early period of his artistic activity (1968–1976) he explored identity and the body through a series of Polaroid photographs, aphorisms, and intimate performances. From 1976 to 1988, he collaborated with Marina Abramović on numerous performances entitled Relation Works; their work focused on questioning perceived masculine and feminine traits and pushing the physical limits of the body. 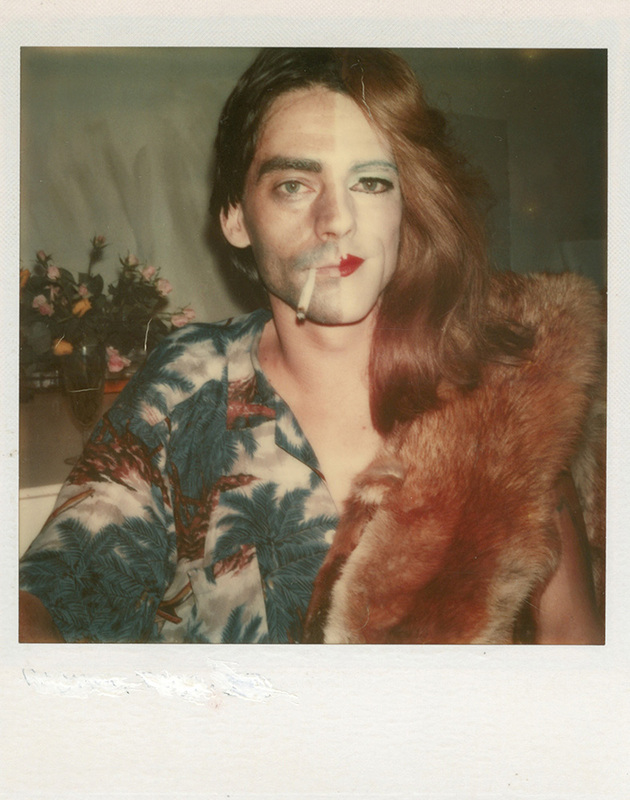 After 1989, Ulay focused on photography, addressing the position of the marginalized individual in contemporary society and also making experiments with the largest ever built Polaroid camera. Nevertheless, although he was working primarily in photography, he remained committed to the idea of the 'performative', continuing to 'provoke' audiences through numerous performances, workshops and lecture-performances. In recent years, Ulay was mostly engaged in projects and artistic initiatives that raise awareness on the critical issues regarding the world resources of water (Earth Water Catalogue, 2012). Ulay's work, as well as his collaborative work with Marina Abramović, is featured in many collections of major art institutions around the world such as Stedelijk Museum Amsterdam; Van Abbemuseum Eindhoven, Castello di Rivoli, Torino, Kunstmuseum Bern, Musee national d’art moderne Centre Pompidou Paris; Staedel Museum Frankfurt, Louisiana Museum Humlebaek, Musee D’art Contemporain Lyon and the Rabo Art Collection Utrecht. Maria Rus Bojan is an international curator and art advisor based in Amsterdam. Since 2005, Bojan worked closely with the German performance artist Ulay, writing, curating, and producing materials for several international exhibitions such as Ulay’s first major retrospective,  GEN.E.T.RATION ULTIMA RATIO, (2005), at Centro Parraga, Murcia, Spain, Ich bin Ich,  (2013), Salon Dahlmann, Berlin, and The Animist at Depart Foundation Los Angeles, while contributing to his recent retrospectives at Nederlandse Fotomuseum, Rotterdam, and Schirn Kunsthalle Frankfurt, (2016). In 2014, together with the New York based writer Alessandro Cassin, she published Ulay’s first monograph: Whispers, Ulay on Ulay, at Valiz Amsterdam, awarded the Special Prize for Publications of the Dutch Section at the International Association of Art Critics in 2015. Contemporary Art Museum, Belgrade;  Locked-In, (2008), Casino de Luxembourg; Effigies of Life, A Tribute to Magdalena Abakanowicz, City Gallery of Wroclaw (2017). She has been the curator of Performing History, the Romanian Pavilion for the 54th edition of the International Art Exhibition La Biennale di Venezia (2011). "40 Years Video Art in Germany (from 1963 till the presence)" Rudolf Frieling/Wulf Herzogenrath, Kunsthalle Bremen, K21 Kunstsammlung Nordrhein Westfalen Duesseldorf, Staedtische Galerie im Lenbachhaus Muenchen, Museum der Bildenden Kuenste Leipzig, ZKM/Zentrum fuer Kunst und Medientechnologie Karlsruhe. 49th October Salon, Belgrade, curated by Bojana Pejic, screening video "There is a Criminal Touch to Art"
“Cold Front from the Balkans” group exhibition curated by Alenka Gregorič, Istanbul, Pera Museum. "Content: A Contemporary Focus 1974-1984", Hirschhorn Museum and Sculpture Garden, Washington, D.C.
"Terminal Garden", U-matic, N.T.S.C., 27 min., realized by the USA Visual Art Center M.I.T., Cambridge, Mass. "The Great Wall Walk/The Alien", 1988-1997, betacam, color/sound, 28 min. "Imponderabilia", realized by Diffusione Arte Cinomatografia, Rome, Lisa Carone, 16 mm, color/sound, 45 min. "Light/Dark", realized by Marina Abramovic and Ulay, filmed by Martin Rens and Louis B. van Gasteren, 16 mm, color/sound, 15 min. "An Abstract Painter Crossing the Red Square Followed by Two Figurative Painters in Civilian Clothes", Moscow, Super 8 mm, color, sound, 6 min.